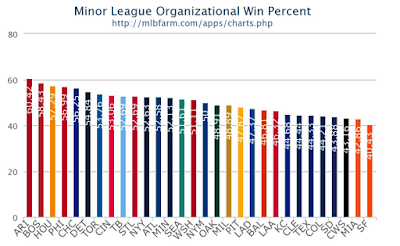 According the MLBFarm.com, the Boston Red Sox have the second-highest minor-league organizational winning percentage in all of baseball. 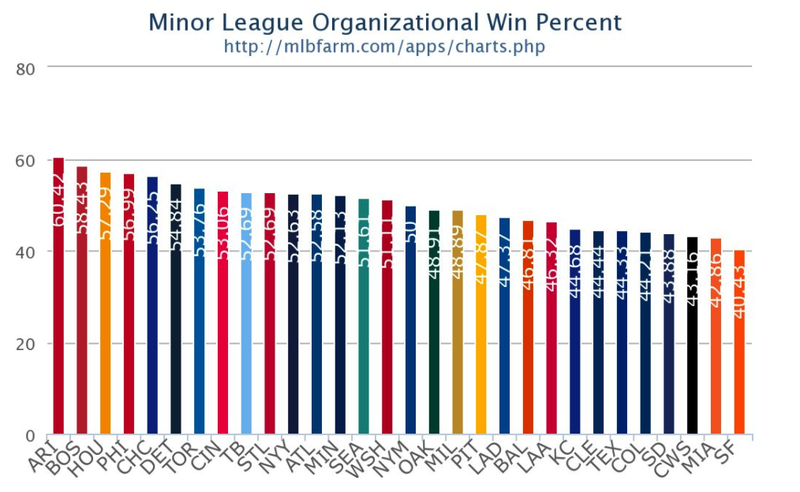 As the chart shows, the Arizona Diamondbacks top the list with an organizational winning percentage of 60.4%, followed by Boston at 58.4%. The 2016 World Series Champion Chicago Cubs come in fifth on the list at 56.3%. The minor league organizations of The Bronx Embalmers rank #11 on the list—with an organizational winning percentage of 52.6%. Interestingly, the San Francisco Giants come in last on the list at 40.4%.